Structures may not be complex, but you don't have to dig too deep to find where they start. and where they start can be just the tip of the iceberg! Many of my clients are concerned about the complexity and increasing pace of change in the business environment. As an executive and leadership coach I’m interested in working with them to adjust their leadership for these uncertain conditions. And that means rethinking what I’m doing as a leadership coach. So if you are leading an organisation through change, or are exploring different coaching approaches, you might be interested in what I’ve got to say here. There’s an acronym for current conditions – VUCA! VUCA stands for Volatility, Uncertainty, Complexity and Ambiguity: it arose in the US military as a description of changing conditions after the end of the Cold War and was co-opted by business discourse in the ‘90’s. A complex system has multiple elements, and does not follow linear rules of cause and effect. The system elements are interacting and changing simultaneously, so outcomes are emergent and unpredictable. The same initial conditions can result in different outcomes. Sargut and McGrath (2011) give the example of an air traffic control system, where many constantly changing variables necessitate constant reassessment. Complex adaptive systems (CAS) are self-similar: you can find patterns repeating themselves at different scales. In organisations you can see that self-similarity in the way teams and reporting are structured. CAS are also self-organising: you can see that in the way schools of fish organise and reorganise themselves around external factors like sharks! In an organisation en example might be the way information disseminates informally through the organisation – the grapevine takes care of itself! Unlike complexity, a complicated situation is one in which there are multiple and potentially confusing elements to be considered, however with patience and logic you can work through it in a linear manner. Again from Sargut & McGrath, flying a jet aircraft involves complicated factors and steps, but with application of correct method, the outcomes are predictable. The complexity model is descriptive, not prescriptive. This is an important idea for organisational leaders. The complexity model describes what is already going on in the organisation. Human organisations are by nature messy and ambiguous. So it’s not a matter of coaching or coaxing your organisation towards complexity, because it already is a complex organism. Kuhn (2012) disputes that the world is becoming any more messy and unpredictable than it already was. It’s just that we are becoming more insightful and articulate about describing it. How does complexity change the work of an organisational leader? Our traditional ‘command and control’ structures are based on a linear, top-down view of the organisation. Therefore 21st century leaders need to flex their thinking, to encompass bottom-up thinking and shared leadership, whether that’s matrixed, team-based, or otherwise cross-functional. Leaders play a vital role in developing structures and cultures for that organisational complexity to flourish. A complex system thrives on strong internal interconnections, so the organisation leader must create opportunities for conversation and dialogue to flourish. This might take the form of cross-functional training, internal social media platforms, or a weekly BBQ. Don't be afraid of the informal conversations – because they are often the important conversations! Nick Petrie (2014) comments that to lead in complex contexts, leaders need to focus on vertical rather than horizontal development. This is a move from what to how.Horizontal development is about developing competencies and knowledge within their horizontal scope of responsibilities. Vertical development is about transformation towards higher levels of leadership. There are several models of vertical leadership development, for example The Leadership Pipeline (Charan & Drotter). We draw on these, and describe our own transformational leadership process with the I-WE-YOUmodel. This represents a progressive shift of agency from the self to shared leadership, to others. What does this all mean for leadership coaching? What does this mean for individual coaching? Some commentators say that we need to shift to ‘systemic approaches that are less interested in the individuals and more in the pattern of interaction between them’ (Cavanagh, 2012). Similarly, White and Lawrence (2013) see systemic coaching as a broader mindset that situates the individual client in the context of their organisation. While I agree that paying more attention to context and strengthening links with organisational stakeholders is very important, I don't believe we should lose sight of the essence of coaching. This essence is a personal, individual contract to assist leaders in capability development. Tatiana Backirova (2012) agrees, reminding us not to throw the baby out with the bathwater. In other words, don't stop your individual leadership coaching. People are people, and we still need to have the same relationships of trust and confidentiality and the same coaching skills. Leaders will always need to flex between directive, consultative and collaborative modes. We can think of complexity models as being another (essential) part of your leadership coaching toolkit. Kuhn (2012) also urges us to ‘be modest about infusing complexity principles into coaching’. In my view, a useful ‘systemic’ application of coaching lies more in provision of scalable leadership coaching at different levels of the organisation. This approach nudges the ‘self-similarity’ inherent in complex systems. If you are interested in reading more, check out my post on Frontline Leadership. Bachkirova, T. (2012) Let us not throw out the individual baby with the non-systemic bathwater. International Coaching Psychology Review, March7:1. Cavanagh, M. & Lane, D. (2012) Coaching Psychology Coming of Age: the challenges we face in the messy world of complexity. International Coaching Psychology Review, March7:1. Hodge, B. (2012) Coaching for a complex world. International Coaching Psychology Review, March7:1. Kuhn, L. (2012) Epistemological Reflections on the complexity sciences and how they might inform coaching psychology. International Coaching Psychology Review,March7:1. 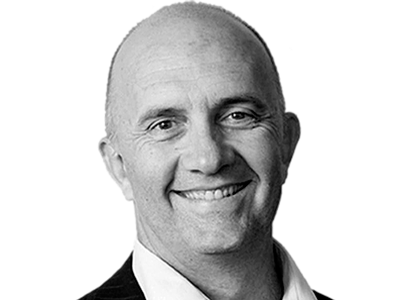 Rob is an executive coach, sales trainer, speaker, author and strategy planning facilitator, working with leaders and executives across a range of industry sectors, focusing on the holy trinity of executive life - leadership, sales and strategy. All executive leaders have to lead people and an organisation, drive sales and they need strategies to underpin this. Rob has direct experience of senior executive life, he understands what value and potential people have. A true ‘value-broker’ and 'connector'. It's time to get serious about leadership development, and when we do there is more than one way to go about it! What's one of the main reasons people quit? The manager. Organisation wide impact can be made if we consider those in the organisation with the greatest influence.